The people you meet at Dreamforce are a huge part of what makes the experience so unforgettable. Social media makes it easier than ever to network with like-minded peers and connect with new business partners. 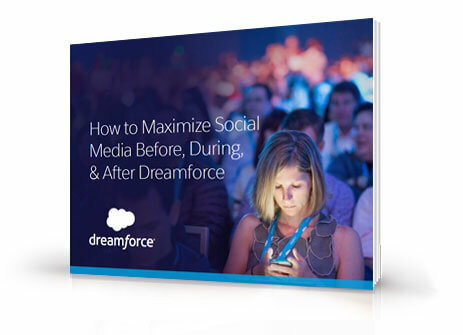 Are you prepared to use social media effectively before, during, and after Dreamforce? Dreamforce only comes once a year, and more than 150,000 tweets will be posted during the week. Will your posts stand out? Get the e-book for free now!